A fresh round of U.S. Mint sales figures are available for the 1-ounce .995 fine 2019-W Proof American Platinum Eagle. Released last Thursday for $1,220, the platinum coin registered first-day sales of 3,225 coins. It increased by 1,382 through the weekend for a four-day total of 4,607 coins, or 30.7% of the possible 15,000 coins. Last year’s proof Platinum Eagle opened with four-day sales of 7,530 coins. Elsewhere, Apollo 11 50th Anniversary Commemorative Coins moved up another 45,130 for an eleven-day total of 405,166. The pair of gold coins and the five-ounce piece are near 64% of their maximum sales. Below are tables showing the latest sales for U.S. Mint numismatic products. The sales period covers from Jan. 28 to Feb. 3. Products with an asterisk (*) are no longer available or had no reported sales. Why is the mint pricing clad halves with a limit of 750k at nearly 30 bucks? That’s almost as much as 2 rolls of Kennedys, or the same as an entire proof set with 9 other coins. Commems are guaranteed loosers, the Buffalo Dollar is the only winner. I just bought a lot of 20 different commem dollars at a show for $15 each. Thank you for your update. Do you have any information as to how many of the 5 oz Apollo and gold Apollo have been shipped? Also, whether the mint will continue to ship or wait until May 1 for the gold ones to be shipped and October 25 for more of the 5 oz to be shipped? I, too, want to “Thank” Mike for this update. 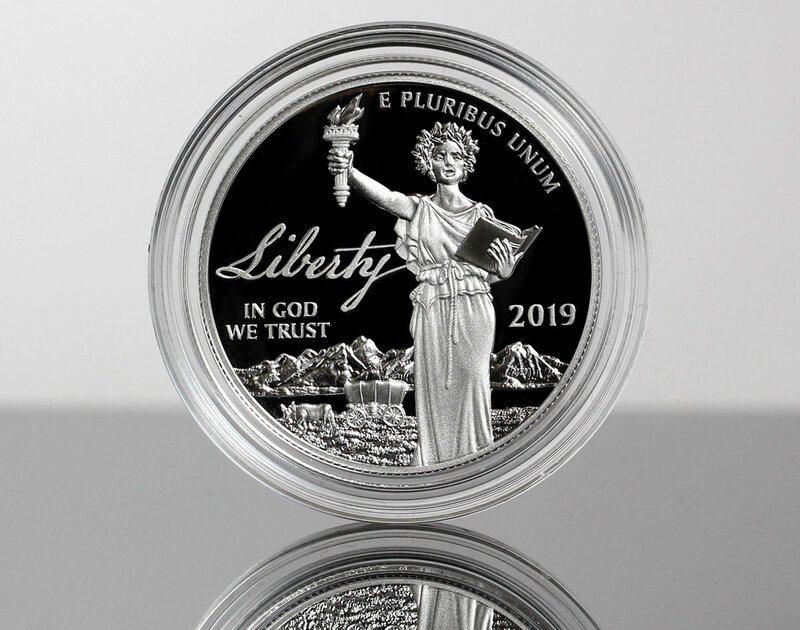 That is one foxy Liberty on the Pt proof they show…….wow scary, is that a Walking Dead coin?? I don’t think the flippers of the Apollo coins are doing too well. You can buy the Apollo 11 Gold Uncirculated and Proof Coins for as low as $449.00 each and the 5 OZ Coin for as low as $279.00 on Ebay. Mike “Sold Out, Limited Edition” Mezack was selling the 5 OZ Coin for $599.99!!! !